Flipkart has closed the highest deal for custom built office campus with local builder in Banglaore named Embassy group for three million sq ft in Bangalore. The first phase of the new campus is said to be delivered by the group early next year with an incubation facility of 2,400. One million sq ft of office space will space seats between 10,000- 12,000 people. 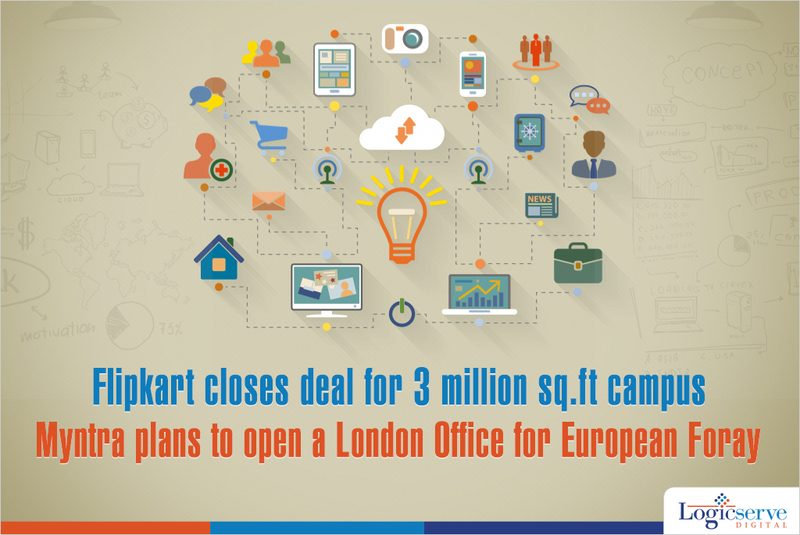 An Embassy official confirmed the deal and Flipkart couldn’t be reached for a comment. With the improvement in economy, top cities are seeing a spike in office spaces. Many large companies such as Deloitte and Tata Consultancy Services have already added to this trend. Banglore based fashion retailer Myntra is in the process of setting up an office in London and plans to expand to New York in another year. The company has appointed Mark Sebba, who retired as the Chief Executive of Neta-Porter earlier this year as an advisor. As fashion and lifestyle are becoming a growing category portals like Myntra and Jabong are looking to scale further. According to retail company Technopak fashion accounts to 25% of the online retail industry’s sales. It is expected to reach 30% by 2019. WHAT I LEARNT AT THE TECHMANCH DIGITAL CONFERENCE 2017!